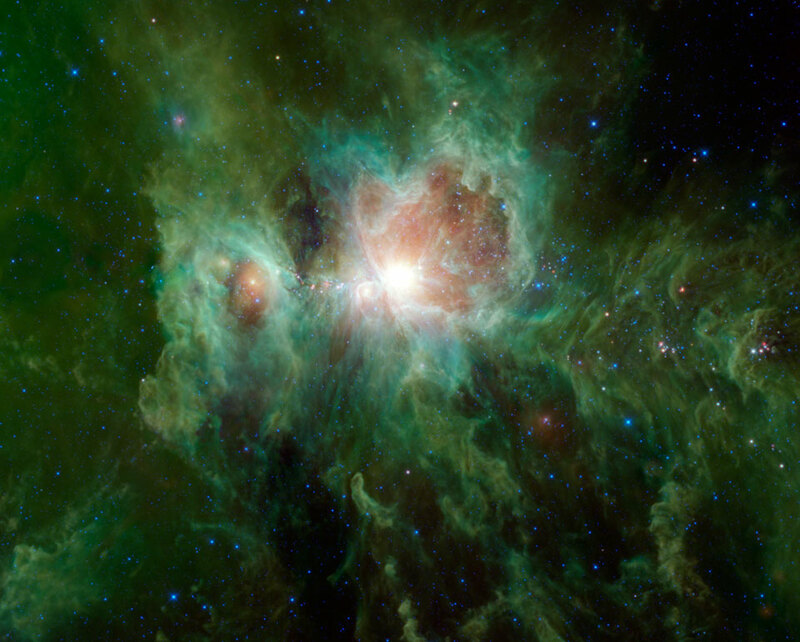 The Orion Nebula as seen in the infrared, by NASA’s Wide Field Infrared Observatory (WISE). The relevance of the picture will be explained later. Ellen McCarthy and Elizabeth Chen recently published an article in the Washington Post Magazine about a young couple, Bill Ott and Shelley Belgard. Both have mental handicaps. The article, in honor of Valentine’s Day, traces the crisscrossing paths that finally merged, resulting in their becoming a couple. The article is eye opening, and heart warming. I recommend that you take a look at it. Any summary here would be much less effective than the article itself. Go ahead. I’ll wait for you to read it, and then return to this post. Now, assuming that you have read the article, I wish to make only two brief observations. Many of Bill’s statements are poetic. They are remarkably evocative. They are concise, and make their points perfectly. Anyone would be proud to have said them. Shelley shows a degree of self-understanding that many would envy. Despite their mental handicaps, Bill and Shelley are quite impressive, and quite likable. The relevance of the picture is that it shows stars being born.